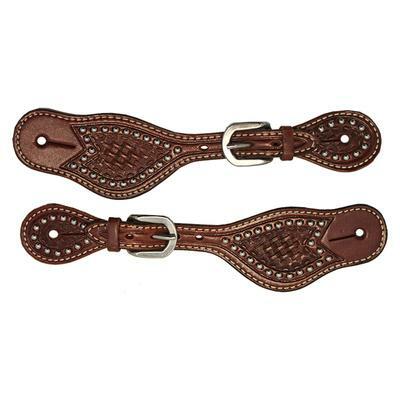 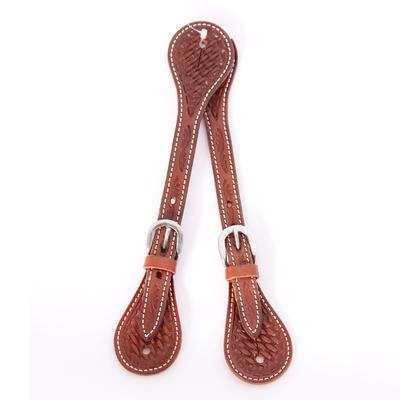 Basket-Tooled Chestnut leather spur straps have stitched edges and feature silver buckles with cross motif and silver keepers. 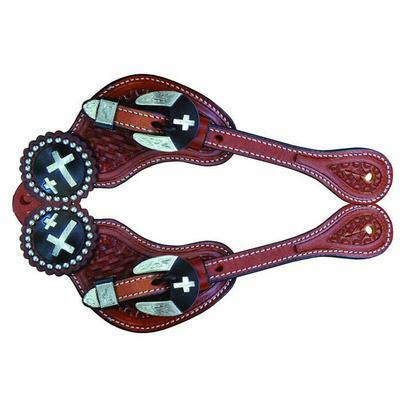 Black conchos with silver dot trim have a double cross motif to round out the look. 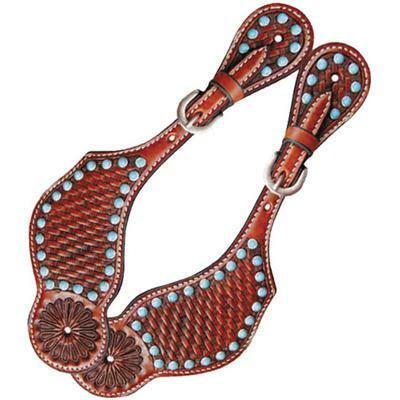 Cross motif conchos with silver dot trim.